Wood’s division arrives in the woods west of Brotherton Field. 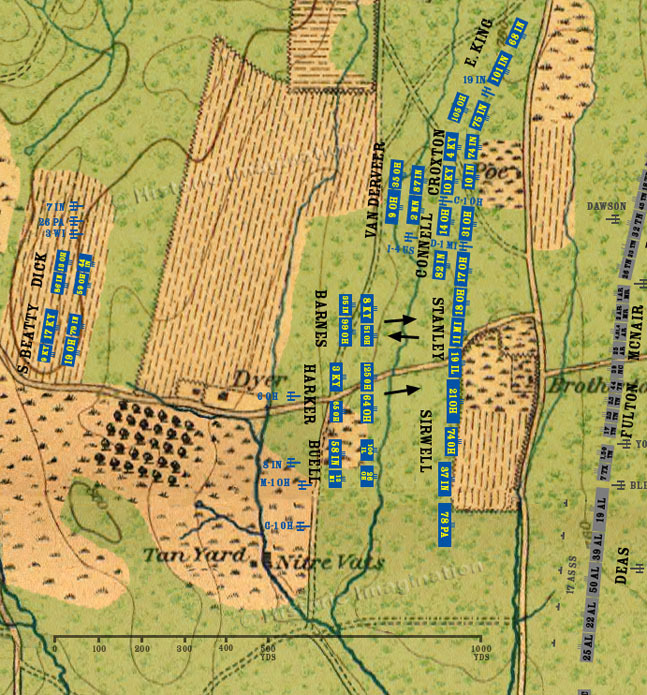 Barnes and Harker’s brigades relieve Stanley’s brigade, but Sirwell does not disengage just yet. Buell’s brigade is left marking time behind Sirwell.